When Memphis Made A Move On Nashville's Country Monopoly A new nine-hour box set, titled Sun Country Box: 1950-1959, collects Sun Records' country output. Memphis has always believed that it, too, should be a center for country music, and that Nashville, despite a history reaching back to the 1920s, shouldn't have a monopoly on it. When Sam Phillips started Sun Records in 1953, he encouraged country artists because he knew that if he was going to find the performer with "the colored sound and feel" that he was looking for, then that's where he'd be. Bear Family recently released a nine-hour compilation of Sun's country output called Sun Country Box: 1950-1959. Carl Perkins was celebrating the entire state when he recorded "Tennessee" in late 1955 — he ends the song by reminding us that "they built the first atomic bomb in Tennessee," after all — but his musical examples are all Nashville country greats. There's another thing: Perkins' picking isn't exactly mainstream country, although Sam Phillips thought of him as a country act at first. He thought the same about another young kid who was hanging around Sun Studios in those days, and used Jerry Lee Lewis mostly as a studio musician. Phillips' early ventures into country weren't very interesting. Early on, he'd recorded Slim Rhodes for some other labels. Rhodes had been the dominant force in Memphis' country scene for years, and had his own radio and television shows to keep him visible, although his record sales weren't disturbing anyone in Nashville. Phillips thought he'd found something with Harmonica Frank Floyd, who certainly knew his way around black music, thanks to his extensive performing experience with medicine shows. The trouble was, Floyd was born in 1908 and wasn't exactly teen-idol material. Still, his recordings provide a priceless look into an all-but-forgotten past. Once Elvis Presley began to make waves at Sun, all manner of young men started showing up at the studio at 706 Union. Sam Phillips had them record country, of course. This rock 'n' roll thing might just turn out to be a fad. Charlie Feathers was from Mississippi, but had family in Memphis; a bout of meningitis had left him incapable of heavy labor, so he took to music. You can hear the rockabilly trying to escape from Feathers' voice in "Runnin' Around," and it would on later sessions. There were others: Malcolm Yelvington, with his lush baritone, was another guy who, at 35 and happily married, was no teen idol. 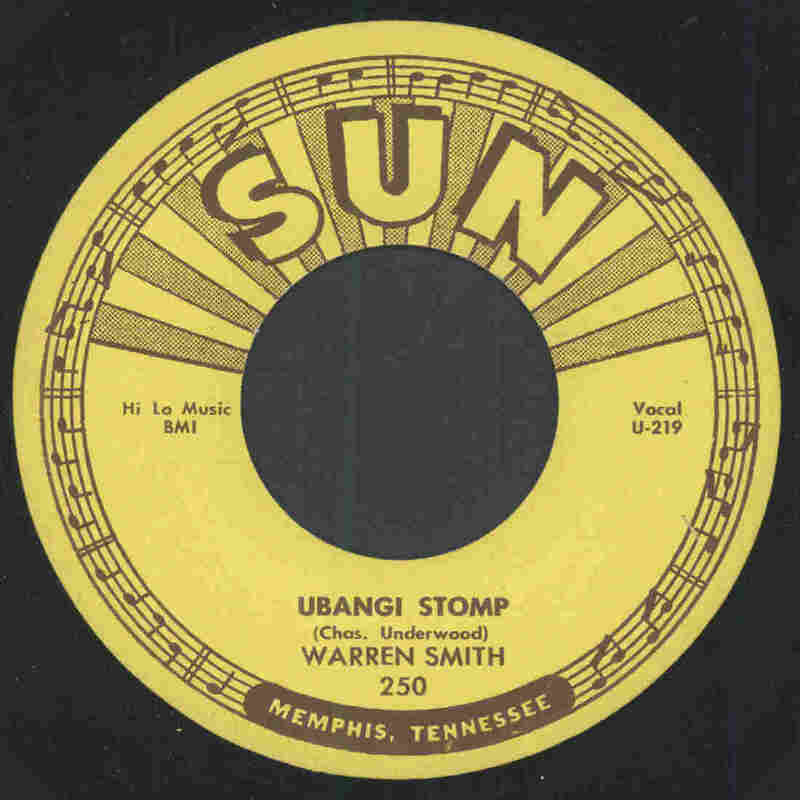 There was Warren Smith, who was capable of rocked-up Elizabethan balladry like "Black Jack David," menacing hard country like "Red Cadillac and a Black Moustache" and, of course, his infamous "Ubangi Stomp." But he also did stuff that showed how country was changing, like "Tonight Will Be the Last Night." On the other side of the microphone, though, Sam Phillips was in over his head as post-Elvis mania mounted. He kept a country division going at Sun Records until the end, although he stopped recording the artists at 706 Union. But now that he'd found rock 'n' roll, he was determined to record as much as possible, and that would result in some of the greatest records ever.